An exhibition celebrating 100 years since Edward Johnston created the London Underground typeface is opening at the Ditchling Museum of Art and Craft in East Sussex. Underground: 100 years of Edward Johnston’s Lettering for London will look at Johnston’s life: from his early work as a traditional calligrapher to the creation of his modern typeface Johnston Sans. It will explore this through a series of paraphernalia loaned from the Victoria and Albert Museum, London Transport Museum and Crafts Study Centre, as well as those from the museum in Ditchling. 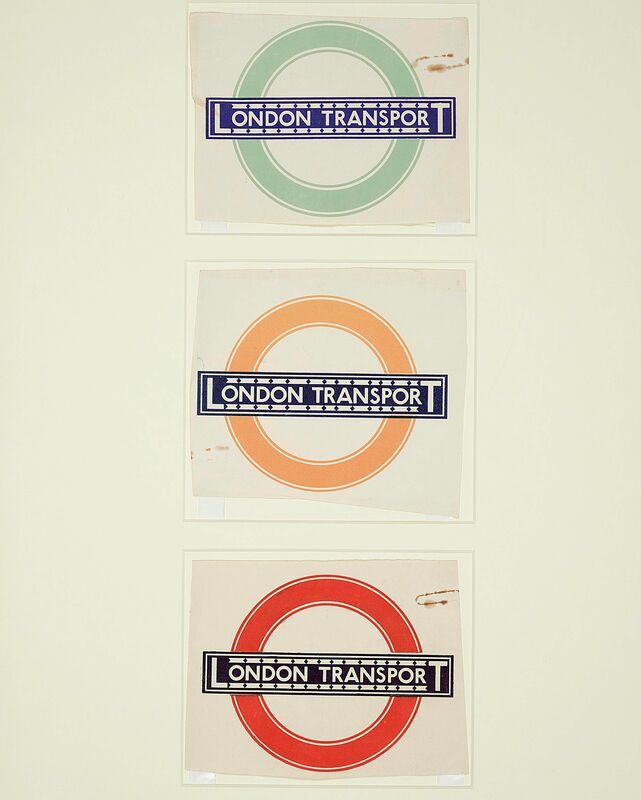 Exhibition highlights will include two of Johnston’s original hand-drawn designs of Johnston Sans from 1916, and proofs of the London Underground roundel logo, which was first seen on tube maps in 1919. 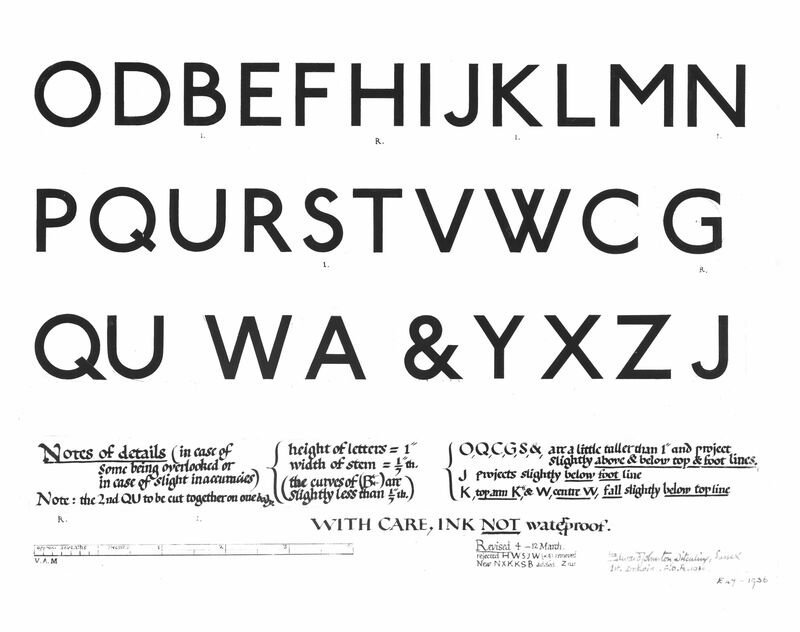 Johnston created the typeface while he was living in Ditchling. He was first commissioned in 1913 by Frank Pick, commercial manager for the London Underground Railway. At the time, Pick felt that the Underground’s current use of a mix of serif and sans serif lettering could not catch commuters’ attention when competing with advertising posters. He saw a need for a new font that, while consistent with the styles of the past, belonged to the 20th century. After a delay due to the outbreak of the First World War, Johnston was able to complete the alphabet, which he drew by hand. 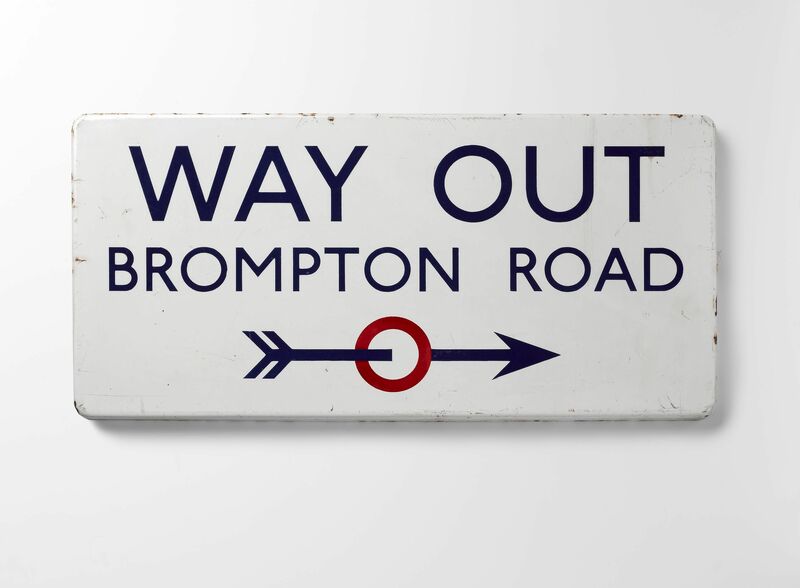 Some of the initial signage was hand-painted until 1917, when wood-letter printing blocks were made and it became easier to reproduce signage across the ever-expanding tube network. By 1929, Johnston Sans could be seen across all the architecture, signage and logos of the Underground. The typeface has now become part of the visual identity of London and was only changed once in 1979, to adapt it to phototypesetting technology.